Guyana has the capacity to produce one million tonnes of rice whenever it chooses to. This is the vocalised conviction of former Minister of Agriculture under the People’s Progressive Party/Civic regime, Dr. Leslie Ramsammy. Dr. Ramsammy, who is convinced that Guyana has the market to significantly increase its export, made it clear that such an objective can only be attained if government plays a strong role, together with farmers and millers. The situation that obtains, Dr. Ramsammy pointed out, is that hundreds of rice farmers have not been paid for paddy sold to millers. Some of them, he said, are owed for paddy sold since the first crop of 2018 and others are owed for paddy from the second crop. In fact, he disclosed that there are some farmers who are owed for paddy sold since 2017. “The Minister of Agriculture, Noel Holder, has been largely silent on this issue since he assumed the position in May 2015. The only times he has spoken on this matter, he dismissed the problem as a private transaction between millers and farmers. He absolutely disowned the problem. But there is a law, the Rice Factory Act, that clearly deems the government with responsibility in these transactions. The law makes the government a party to these transactions, even if the government was not at the table,” Dr. Ramsammy explained. Troubling, Dr. Ramsammy said, is the fact government itself, at its highest level, has reiterated the Minister’s position, insisting that the non-payment of farmers for paddy sold is not any business of the government since the transactions are squarely private arrangements between private people, in this case, millers and farmers. “The President has affirmed this position and so have other people, like the Prime Minister. But an injustice being endured by any citizen is the business of government. In refusing to intervene, the government is abrogating its responsibility to uphold justice in our country, abdicating its responsibility as laid out in the laws of the country,” Dr. Ramsammy posited. 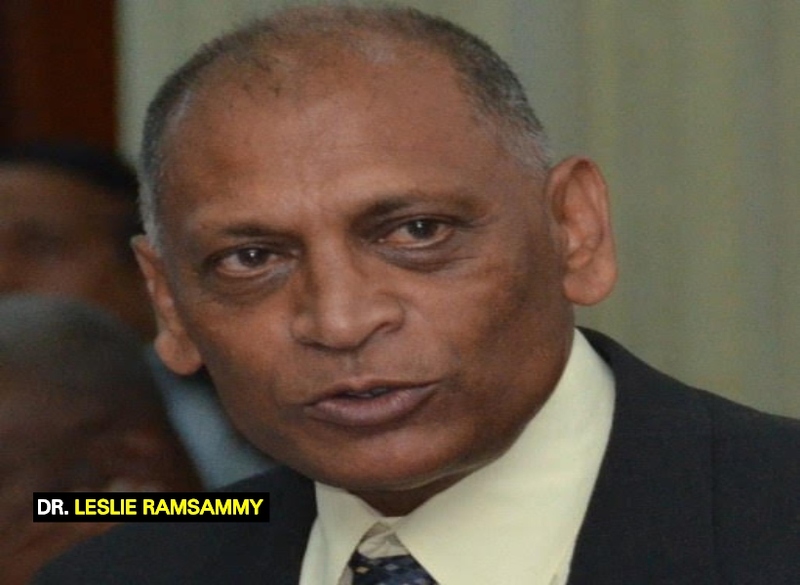 The government, according to Dr. Ramsammy, has an obligation to intervene. Not only because farmers are citizens of the country, but also because the rice industry is the largest employer in the country today, since the downsizing of sugar by closure of sugar estates. Similar failure was experienced for 2016, 2017 and now 2018, Dr. Ramsammy further opined.